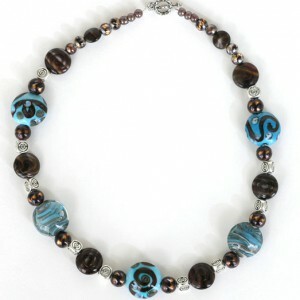 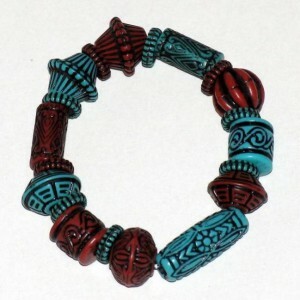 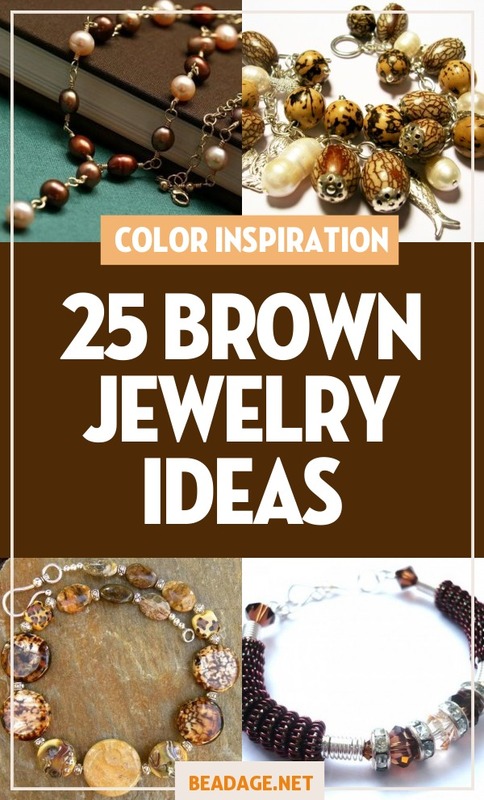 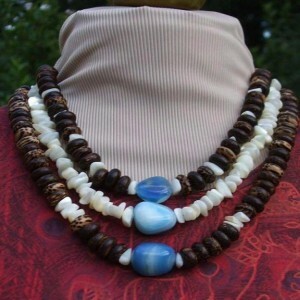 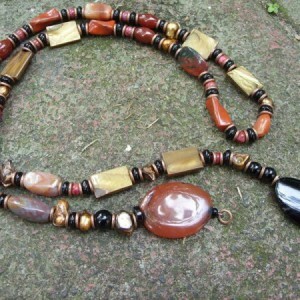 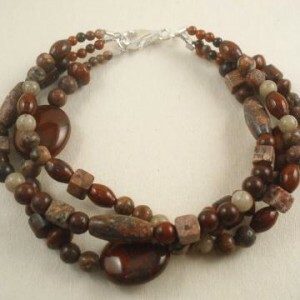 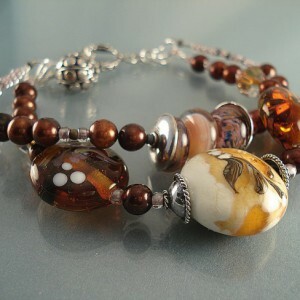 This necklace is a nice combination of turquoise and brown colors. 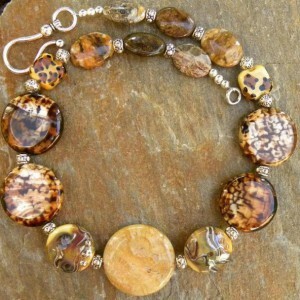 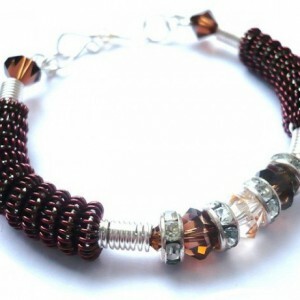 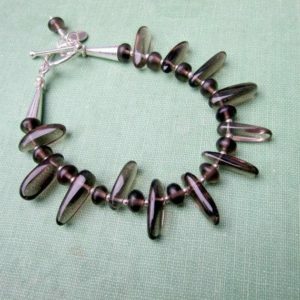 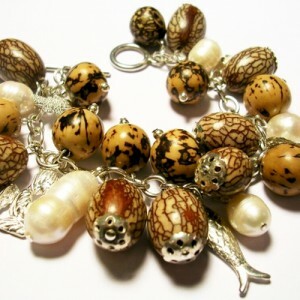 I started by twisting 2 strands of natural shell beads together, attaching a silver bail to it. 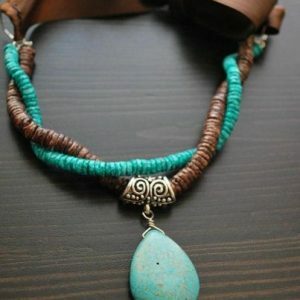 I linked the turquoise howlite teardrop pendant to the bail. 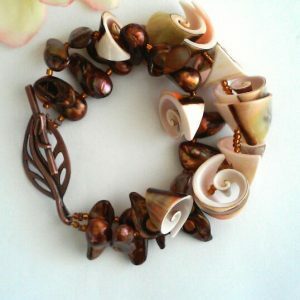 For an adjustable size, I attached brown satin ribbon in place of a clasp. 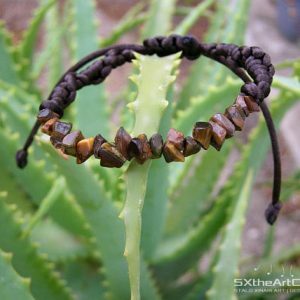 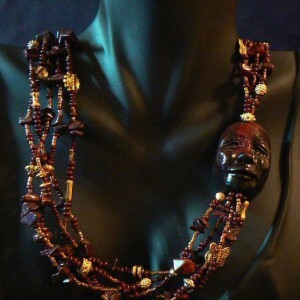 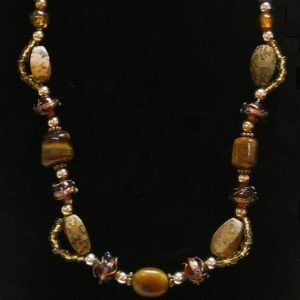 The necklace is handcrafted from horn, wood beads, tiger’s eye beads, crazy lace agate beads, glass beads, silk cord, and is finished with a copper hook and eye clasp. 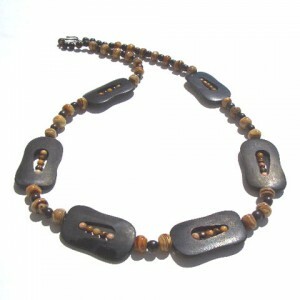 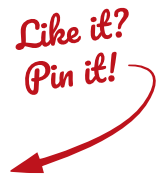 It makes a bold statement and is approximately 26 inches long. 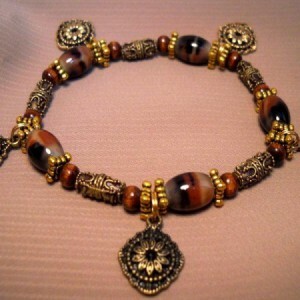 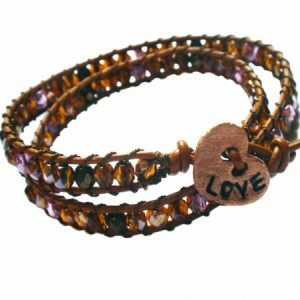 This bracelet is composed of cute little golden bows separated by bronze flowers. 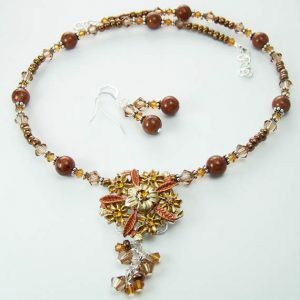 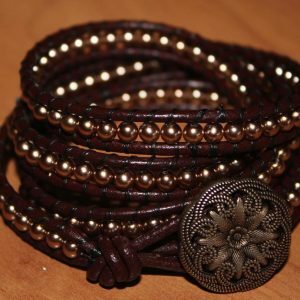 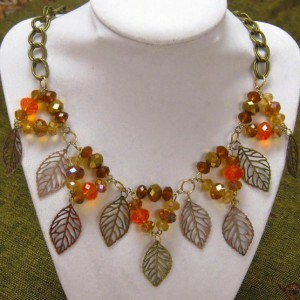 The flowers are arranged from fire polished beads and golden Japanese seeded beads. 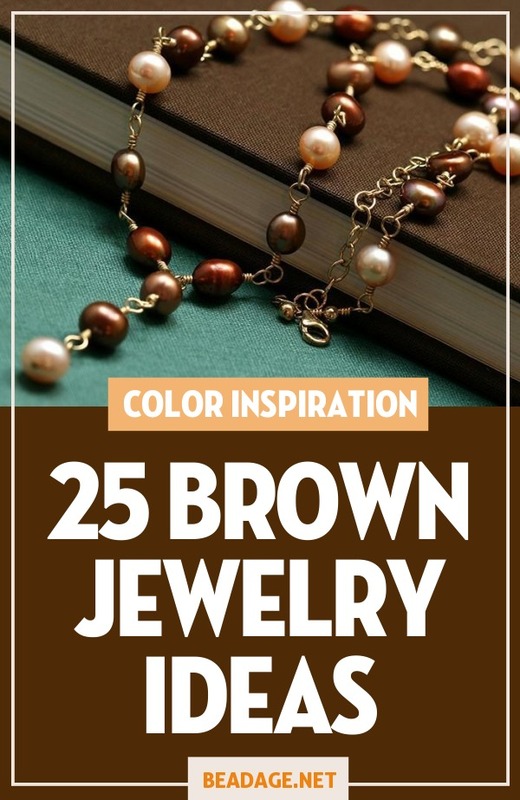 I used matte gold findings to top it off. 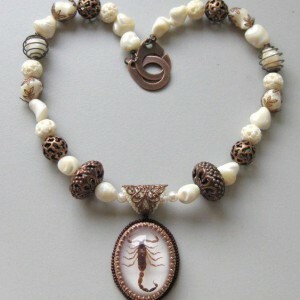 For this necklace I used a cabochon with a real scorpion within. 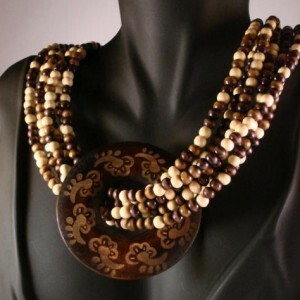 I made the combination with shell pieces, bone beads, miyuki seed beads and beautiful filigree beads. 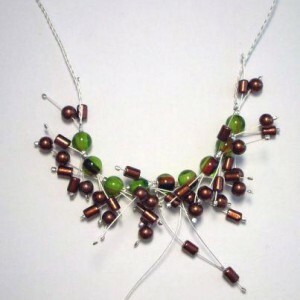 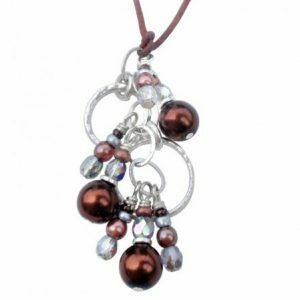 The combination of the different materials and the copper and cream colors give this necklace a friendly instead of a scary look.